Early childhood intervention is what changed my daughter Katherine’s life. It changed the lives of everyone in our family. It was exhausting but completely worth every hour we spent. We spent thousands of hours but we could see it was a true investment in her future. It was worth it every time I got to metaphorically stick a finger (you can guess which one) in a doctor’s face each time Katherine reached another milestone. That’s just some of what early childhood intervention will bring to your life and more importantly, your child’s life. Let me explain. Katherine’s stroke was diagnosed at about 1.5 days old. Her father and I were insistent that there was a problem. Doctors told us that all our observations were incorrect. They insisted that all the signs we were seeing were caused by “in-utero positioning”. They assured us she’d be fine once she got used to being out of the confines of the womb. Thanks to the nurses who took our concerns seriously, a seizure was witnessed and a CT Scan confirmed our worst fears. Uh, yea, RIGHT! The stroke laid waste to ½ of her brain and my dreams, of which I’ve long since forgotten. Once they understood the very serious nature of what had happened to Katherine, they recommend that we place her in an institution. They told us that she would never walk, never talk, never function on her own in any meaningful way. They explained that if we placed her now, it would be easier on us. After an expletive laden tirade to the doctor who had also told us that it was just in-utero positioning, I requested he not darken my doorstep again. That was probably more about denial than anything else, but at the core of my being I was enraged. I was determined to prove him all of them wrong. It was right then and there that we were going to explore what early childhood intervention options were available to her. I didn’t know it was referred to as early childhood intervention at that point. I just knew a combination of therapies that would give her a fighting chance. It made all difference in the world in terms of where she is today. The next stop was Doctor was the head of Neurology at the hospital. She was an amazing woman that got Katherine set up with therapy services. Katherine started when she was 3 months old with physical therapy three days a week. We gradually added Occupational Therapy and then Speech therapy when she failed to start talking. She referred us to a Developmental Pediatrician For the record, she now talks (too much for her own good sometimes) walks (even though she needs a brace and has a noticeable gait), has friends, takes dance and yoga classes, plays basketball, sings songs from every musical she can get her hands on and brings a whole lot of people a whole lot of joy. Parents and therapists both carried out the intervention toward individualized goals for each child, and worked collaboratively to improve how the children were responding socially, playing with toys, and communicating,” said Milani Smith, associate director of the UW Autism Center and a study co-author. “Parents are taught strategies for capturing their children’s attention and promoting communication. By using these strategies throughout the day, the children were offered many opportunities to learn to interact with others. Is your child not progressing and reaching milestones as they should be? Can you just “feel” something isn’t right? Has your child started to avoid eye contact? Are they not speaking yet? Are they withdrawn or unemotional? Do they respond to their name? Do they seem completely undisturbed or startled by loud noises? Are they not walking even at a year and a half? Trust your instincts. Talk to your pediatrician. If they don’t listen and you just know in your gut something isn’t right, ask them for a referral to your state’s early intervention program. Have your child evaluated by them. 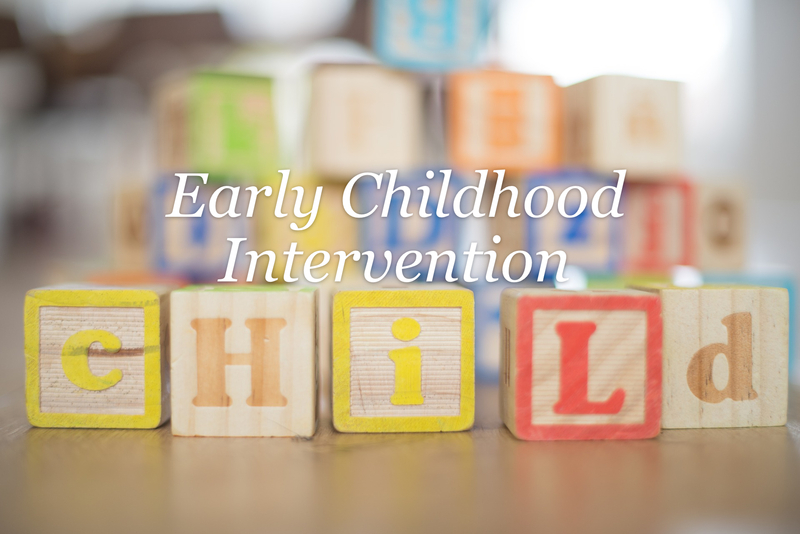 Federal law requires that all states have an early intervention program for children 0-3. You can find a guide to milestones here. Early Childhood Intervention programs are established by Part C of the Individuals with Disabilities Education Act (IDEA). It guarantees all eligible children, through evaluation and diagnosis of a physical and/or mental condition that will likely or has led to a developmental delays, will have access to services. Services are designed to advance the development of children. IDEA ensures services are provided to children with disabilities in each state and US territories. The law governs how states and public agencies provide services to more than 6.5 million eligible infants, toddlers, children and youth with disabilities. Infants and toddlers with disabilities (birth-2) and their families receive early intervention services under IDEA Part C. Children and youth (ages 3-21) receive special education and related services under IDEA Part B. You will find early intervention by state and territories can be found by clicking here. Maybe your child is just a “late bloomer”. But, if by chance that gut instinct we parents have is right….having those concerns evaluated will be the best gift you ever give your child. Early intervention can mean quick resolution to numerous delays, and can mean huge differences in outcome for more significant ones. At worst you’ll get some peace of mind about the late bloomer in your life. No time like the present to make that call. Share your experiences below so we can all learn from them.